The weekend always takes so long to come and then leaves so quickly, doesn't it? Saturday, after work, was spent at V's grandparent's eating a delicious meal. Afterwards we walked around to digest and window shop a bit. We finally saw The Graduate! I know - how sad that it took so long for me to finally see it. I'm so happy I finally did. It's so interesting - especially for being a movie from the 60's! Benjamin was too amusing in it. Sunday we spent the day at the beach! Finally got some color. Besides our cruise and weekend trip down to Sarasota/Siesta Key, we haven't been to the beach this summer - sad, right? Time to share some photos with you! Very cool place on the beach - yuuum! Matanzas Inlet - beautiful right? How neat is this??!! Looks like these two folks invented it! I could be there every weekend! Such pretty pictures! :) Looks like you enjoyed your trip to the beach! Have a great day! Hi there! Stopping by from the Alexa Blog Hop and I also followed you via GFC! The weekends certainly do take too long to get here and then fly right by when they finally do! I went to the movies with my family on Saturday. We saw The Rise of the Planet of the Apes. It was a really good movie, but I had a really hard time with it (a lot of animal abuse), then we went out to eat at Bugaboo Creek, and on Sunday I went to a birthday party. The weekend went by much too quickly! I love your shots of the beach. Hoping I can get there one more time before summer's over. Love the shots with the shells especially! I hope you have a great day! So fun great piture. I am totally for a 4 day work week and 3 day weekend won't go by as fast lol! 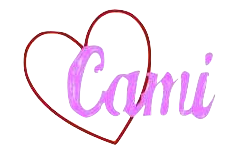 Hi Cami, I once knew a blogger named Cami and I have wondered where she went when she stopped blogging. 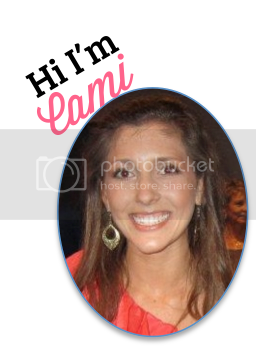 Nope, you are not that Cami, but I really love your sweet post about the beaches in Fl. where I grew up.Your photos are awesome and you are beautiful. My grandchildren are your age so I am sure I am just an old woman to you. I just wanted to wish you a happy blessed life. Have fun make choices that will give you the love and happiness you deserve. I love the beach! The shell shots are awesome! Stopping in from Mama presses Monday morning hop =) Have a great day! I can't imagine how awesome it must be to live in place where every weekend is like going out is like being on a vacation. Super jealous! Your pictures are just beautiful!! Looks like you guys had a blast! Cool pics. Cami, everytime I see pictures of you, you look alot like a young 'me.' Isn't that funny? I'm kind of glad summer is coming to an end because my favorite season is about to begin - Fall! Found you on the blog hop today!! That beach is beautiful! Hi, new follower from the Lots of Lovin' Weekend hop. Love the pictures. Have found a new vaca spot, now to talk my hubs into it! Would love a visit and follow back at Life or Something Like It.